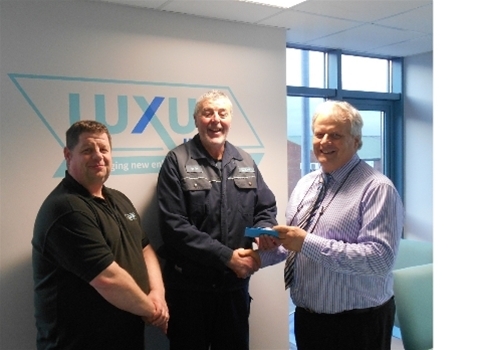 Rob Flynn (65) from Louth retired this week after 22 years with Lincolnshire based technical plastics recycler and compounder Luxus Ltd. Originally from Cumbria, Rob Flynn trained as a joiner restoring antiques furniture before he began his employment with Luxus on the 5th July 1993. He worked initially as an Extrusion Operator, which he did for 10 years before moving to the blending team to broaden his experience. In recent years Rob took the decision to semi-retire so he worked instead as a Yard Operative, a role made possible thanks to the support of all his colleagues. Rob now intends to take up joinery once again, but this time for his own interest. Luxus is pleased to announce that its high performance recycled content polymer range, Hycolene™ has surpassed expectations in its first full scale commercial trial that took place in September at moulder IAC’s plant based in Lincolnshire. Hycolene is a faster cycling range of scratch resistant, lightweight (PP) compounds that help deliver improved Life Cycle Analysis (LCA) - it features up to 60% recycled content. 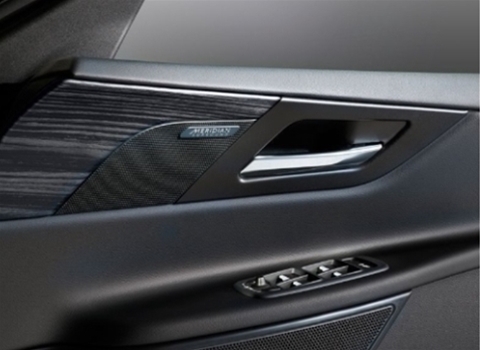 The range has been developed to target Europe’s automotive interior trim market, by helping to satisfy both ‘end-of-life’ vehicle (ELV) and emissions targets. The first full scale commercial results have shown that the scratch performance of Hycolene has significantly improved on the current product. It will therefore deliver a high quality finish; a key requirement given design and aesthetics are increasingly important in the cabin. The trial also demonstrated that Hycolene can produce a much faster cycle time delivering moulders a substantial 8-12% saving, as more parts per tonne can be processed - satisfying Tier 1 targets in addition to OEM’s lightweighting requirements. Dr Christel Croft, technical director at Luxus, comments: “These results have confirmed that the enhanced performance of the Hycolene range has not only been maintained, but in some instances have surpassed expectations. Luxus announced earlier this year, that it has as part of a consortium recently secured a €1.4m investment, co-funded by the EU Eco-Innovation initiative, part of the EU's Entrepreneurship and Innovation Programme (EIP). Its members are injection moulding company IAC for materials trials, twin screw manufacturer Coperion for technical support and Jaguar Land Rover offering end user guidance. The commercial trial followed initial scale-up tests, these focused on different formulations, screw designs and process conditions at Coperion’s pilot plant based in Stuttgart in the Spring this year. The results were then jointly analysed by Luxus and Coperion before recommendations were made to the rest of the consortium to agree that the first commercial trial could take place. For the trial itself, identical formulations, screw design and process conditions were created using Luxus’ bespoke Coperion extruder to establish scale-up parameters. This was to ensure the best environment for the first full scale batch to be used by IAC for its moulding trial. The consortium partners all agreed that the column shroud should be adopted for this trial since it’s a critical class ‘A’ visual component in the cabin. As for the future, the next step is to repeat the commercial production improving screw design and process conditions following these initial results to improve material qualities. Luxus will then produce different grades of Hycolene and work with IAC to produce further parts for statistical analysis. Luxus technicians will also be considering new markets where lightweighting and scratch-resistance are of benefit such as the educational furniture market for example. Supporting image: An example of the column shroud component used for the first Hycolene™ commercial trial. Innovative technical plastics compounder and recycler Luxus has appointed Sajid Mohammed as its new associate commercial director. Sajid Mohammed has spent 25 years working in the engineering sector where he has successfully created and managed international business development programmes. During his previous six years working as global sales and marketing director for Sanvik Materials Technology, he was responsible for sales and marketing, business development, profitability and commercialisation strategies. Prior to this Sajid Mohammed worked as a sales director for BA Tubes where his main role was to formulate strategy to help grow business in its chosen products and markets. Sajid Mohammed’s appointment at Luxus will see him manage its commercial activities including, sales and procurement, while also supporting its overall business objectives for increased growth globally. As part of this, he will build on both its customer and supplier relationships and help improve its supply chains too. 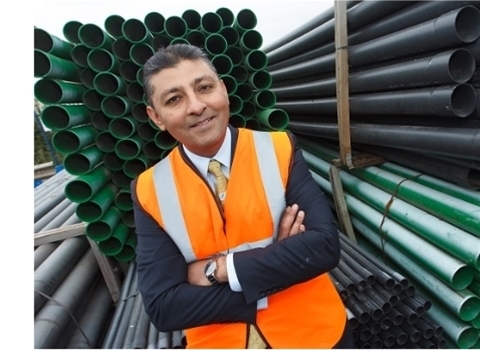 Commenting on his appointment Sajid Mohammed said: “I’m really pleased to be joining Luxus, a highly innovative plastics compounder and recycler that’s pushing the boundaries in many diverse industries from automotive to civil engineering and horticulture. Its continued investment programme will I’m sure enable Luxus to consolidate its leadership position in its chosen markets and enable it to explore emerging global opportunities too. Luxus remains the longest established UK manufacturer to have achieved ‘A’ surface approval for its recycled grades for auto interior trims, in the process it has revolutionised the market. In 2012 it opened a new state of the art Technical Centre and now in its 50th year, it continues to extend its reach into new markets in Europe and Asia. For further information on Luxus please visit www.luxus.co.uk. Ron Tonn - plastics recycling pioneer and founder of Lincolnshire compounder and recycler Luxus, died suddenly on Wednesday 12th August 2015 from heart failure. He was 83 years old. Born in Chicago in 1932 amidst the Great Depression, he went on to become a US army veteran having seen active service in the Korean War in his early twenties. Ron Tonn, whose career in plastics spanned five decades began trading in polymers for American based Muehlstein in the mid 1950’s. He was subsequently sent to the UK to help manage the company’s European arm at the age of 25, which he headed up just a year later. He was later to establish his own business, Luxus on the 15th January 1965. The name Luxus came from his German grandmother, since she often described him as her ‘Du bist ein luxus kind’ which literally translates as luxury’s child. At the company’s incorporation, it became his ‘luxury child’ since he didn’t have sufficient finance for such a venture at the time. Luxus was also a preferred brand name adopted by German manufacturers to suggest luxury e.g. The Opal Luxus. Ron Tonn’s early projects included doing a couple of national TV adverts in front of the camera for major household names Oxo and St Bruno Tobacco. A long term income however, would not come from that route. Then one day he received a call from an old Muehlstien contact offering him a parcel of substandard polyethylene to sell. He knew instantly how to find a willing buyer and so another offer quickly followed. Both deals realised more profit than he had made in the previous two years - his new venture was born. His burgeoning plastics recovery business was quickly growing, so he approached a small granulation company Mavelat, to fulfil its custom granulation work. This was done from its factory based in St Albans that was later to relocate to Eve Street in Louth in 1967. At that time everything was loaded by hand out of Louth with a lot of export going via rail. Peter Laking, engineering and project manager at Luxus recalls those early days: “We always had the upmost respect for Ron. He was never afraid to get his hands dirty, he’d help with the granulator work if needed and wanting to understand everything there was to know about the materials we were using. Ron Tonn often described coming to the UK as his true ‘rebirth’, since it marked for him a fundamental shift from simply trading plastics in the ‘old days’ in America. Luxus was instead about recovering existing waste plastics by re-engineering material that would otherwise be destined for landfill. The mantra ‘reduce, reuse and recycle’ was gaining popularity in the mid 1960s. The time was right for Ron Tonn’s sustainable ethos. Marking the beginning of what we now understand as today’s plastics recovery industry. He was later to become a British citizen too, proof enough of his belief in his business and his affection for his newly adopted homeland. Modernity came when Luxus had the opportunity to purchase nylon scrap from pads used for rail tracks laid on concrete tiles for a ready market in America. This required joint investment in a heavy duty granulator, so a formal partnership with Mavelat began. Luxus however, was soon to do the bulk of the business so the joint venture quickly became cumbersome for this entrepreneur. Ron Tonn then had to raise the necessary funds to buy out of the Mavelat partnership which he did manage to secure. This as it happens was great timing, just before the 1970’s oil crisis when demand for recycled plastics was to spiral. In 1976 Luxus was one of the first businesses to buy premises on the Fairfield Industrial Estate in Louth. 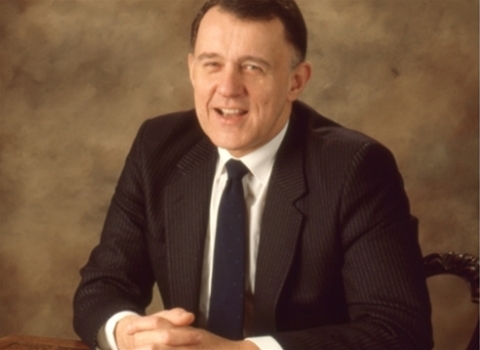 Ron Tonn continued to manage the business successfully despite the subsequent 1980’s recession before retiring in 1997. His true ‘back to the floor’ approach to decision making has been passed to its present managing director, Peter Atterby. Today Luxus is a £25m turnover business operating in global markets and still fulfilling its founder’s pioneering vision for a more sustainable future. The show has become a ‘must-visit’ for Tier 1 and Tier 2 suppliers as well as for interior design teams from automotive manufacturers wanting to keep up with the rapidly changing world of materials, finishes and technologies in the cabin. As part of the expo’s ‘Interiors Innovation and Design Forum’, Luxus Project Manager, Dr Christel Croft shared with the audience the aims of its new commercialisation project known as Recyclite. Luxus has as part of a consortium recently secured a €1.4m investment co-funded by the EU Eco-Innovation initiative. Its members are injection moulding company IAC for materials trials, twin screw manufacturer Coperion for technical support and Jaguar Land Rover offering end user guidance. The project will enable Luxus to make a step change in the development of its Hycolene™ range of lightweight (PP) compounds, while also encouraging its wider adoption by Europe’s automotive manufacturers. UK based technical compounder and recycler Luxus, will be showing on stand (A5126) the progress it’s made on the road towards delivering next generation lightweight and sustainable materials to drive tomorrow’s auto interior innovation - the result is Hycolene™ a new sustainable lightweight thermoplastic (PP) range. Luxus has as part of a consortium recently secured €1.4m investment co-funded by the Eco-innovation initiative of the EU for its Recyclite project (www.recyclite.com). 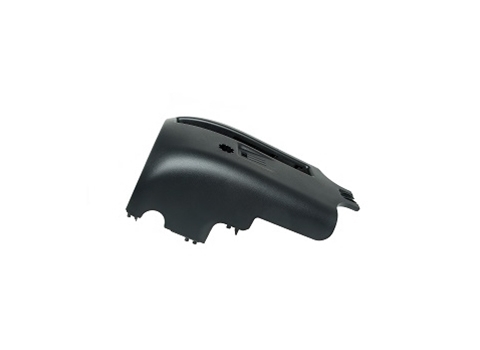 The aim is to commercialise the development of its Hycolene range of lightweight (PP) compounds with up to 60 per cent recycled content to target’s Europe’s class ‘A’ automotive interior trim market. Luxus will be collaborating on the commercialisation project with twin screw manufacturer Coperion to help with complex processing, tier 1 moulding supplier IAC for materials trials and Jaguar Land Rover. The automotive manufacturer will be providing end user guidance on the project to ensure the technical requirements are met, allowing exploitation of this technology across future automotive industry applications. 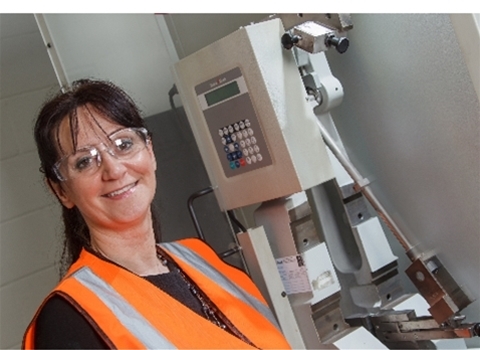 Project Manager, Dr Christel Croft at Luxus will be presenting a seminar on the Recyclite project as part of the Interiors Innovation and Design Forum, ‘High performance lightweight recycled polypropylene materials for tomorrow’s auto interiors’ at 11.45am, on Thursday 18th June 2015 at the Auto Interiors Expo 2015. Peter Atterby, Managing Director, Luxus explains: “We are pleased that the commercial potential of our Hycolene range has been recognised by the EU. This investment has enable us to effectively make a fundamental step change in our technology as we aim to replace our filled compounds with next generation reinforcing additives. “These additives offer excellent tensile properties that don’t detract from the appearance of the moulded compound, yet their adoption reduces weight by up to 12 per cent per part and significantly improves scratch resistance to meet industry standards. Luxus is preparing a patent application for the new advanced polymer technology process. Its capacity however, to produce these compounds will be limited by access to local sources of recyclate PP. So in the future it intends to license its IP of formulations and knowledge to other selected compounders in the EU who have access source assured PP recyclate locally.